As a THANK YOU to our loyal customers…. Enjoy 50% off select items storewide! Friday, May 3rd 9 am Balloon Release! 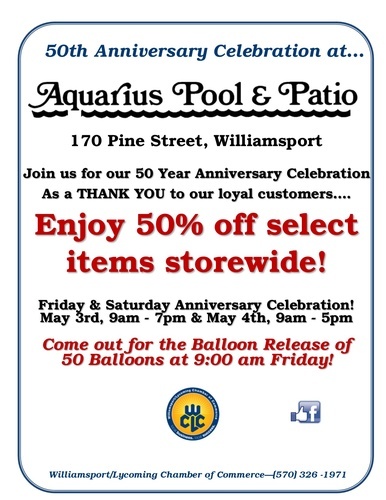 Friday, May 3rd, 9am to 7pm, & Saturday, May 4th, 9am to 5pm, anniversary celebration!